Product prices and availability are accurate as of 2019-04-23 07:27:27 UTC and are subject to change. Any price and availability information displayed on http://www.amazon.co.uk/ at the time of purchase will apply to the purchase of this product. 2. If the handbag with a little bit leather smell, please open it and put it outside for several hours. 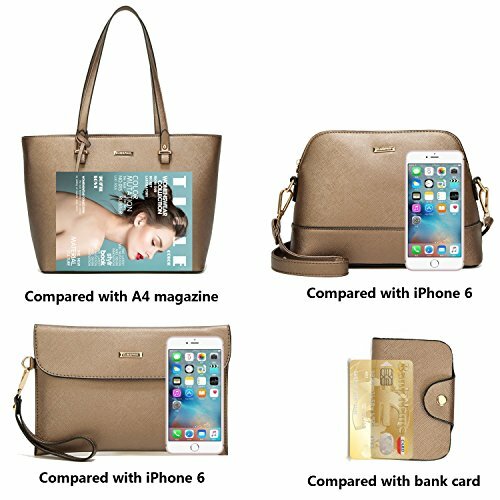 Please feel free to contact us if you have any questions about the handbag and we will provide you with a satisfied solution. Thanks for your support on our store. 3.NOTE: Wipe it with clean water in ordinary temperature. DO NOT wash it with hot water and alkaline detergent. Hang to dry and store in ventilated place. 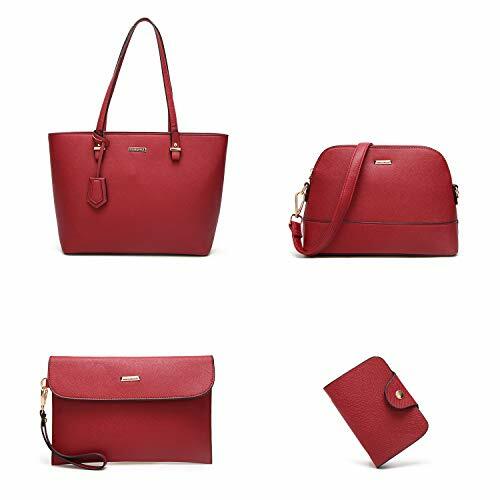 1.All In One Bag Set: The package including 1 handbag+1 messenger bag+1 wallet clutch+1 card holder, a bag set for all your needs. 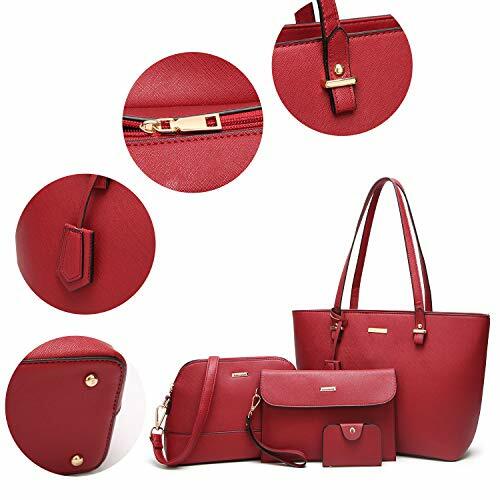 2.Dimension & Weight: Handbag: 16.5/12.6*5*10.64 inch. Handle length: about 10.24 inch. Messenger Bag: 10.24*3.74*7.29 inch. Shoulder strap length: about 49.25 inch, 125 cm. Wallet Clutch: 9.65*6.5 inch. Weight: About 0.87 kg. 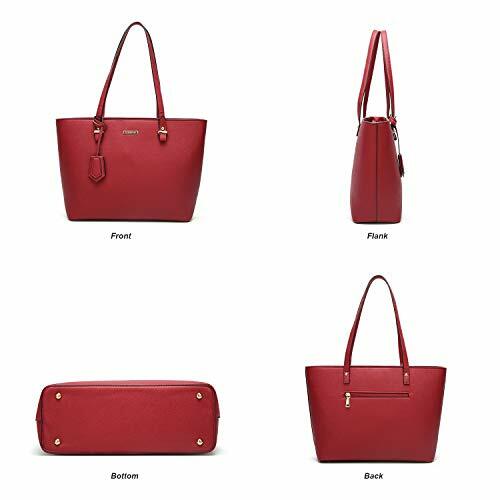 3.Material: Made of top synthetic leather fabric and polyester lining with high quality gold hardware, top zipper closure, durable and comfortable. 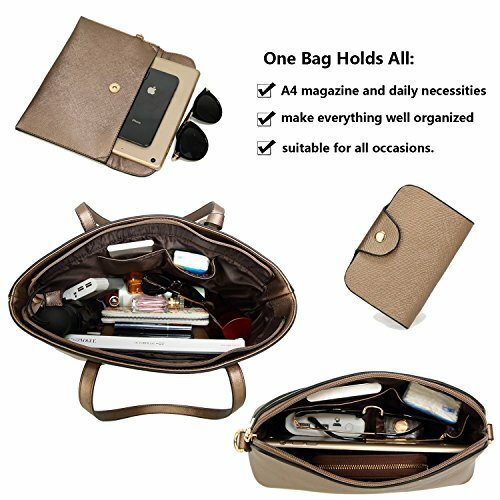 4.Large Capacity: With 1 main zipper compartment + 1 inner zipper pocket+1 back pocket +2 slot pockets.Enough room to place A4 magazine and daily necessities, make everything well organized. 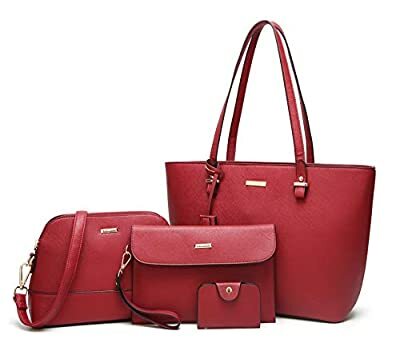 5.About ELIMPAUL: ELIMPAUL is an EU trademark registered by Boutique bags, shipped by Amazon and Boutique bags.Please feel free to contact us if you have any questions about the handbag and we will provide you with a satisfying solution.